On this page you can see information on access, adding, organizing, importing and exporting bookmarks. From Quick Commands via auto-completion and nicknames. 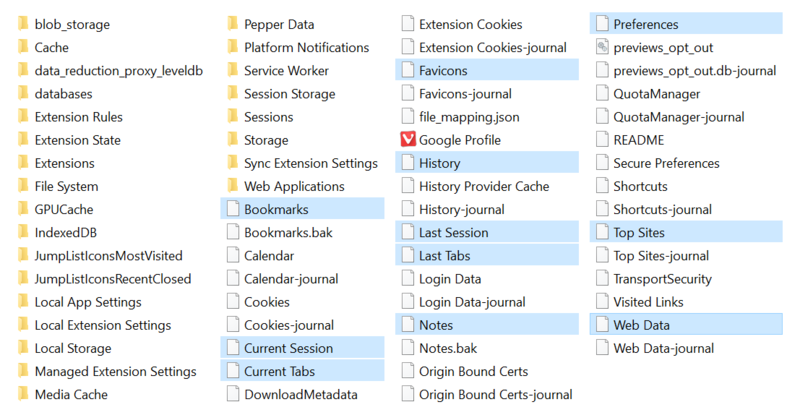 You can manage your bookmarks in the Bookmark Panel or Bookmark Manager. The latter is accessible via Bookmarks > Manage Bookmarks Alt B / ^⌘B application menu. Bookmarks can be organized into folders. To add a new folder, click on the New Folder button in the Bookmark Panel or manager. 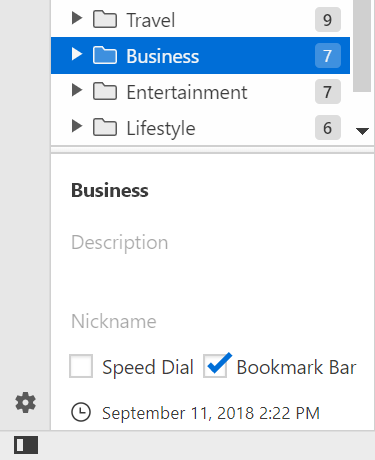 You can set any bookmark folder to be the one populating the Bookmark Bar or add it as a Speed Dial to the Start Page. Bookmarks can be sorted by Title, Address, Nickname, Description, Date Created and manually. Click on the section (by default titled Sort Manually) just above the list of bookmarks in the Bookmark Panel, or on a column title in the Bookmark Manager to change the sorting criteria. 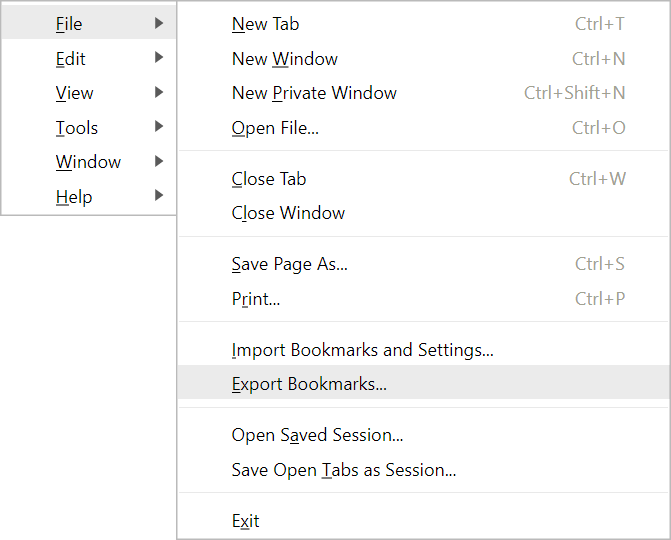 Some additional options can be found in the context menu when right clicking on a single bookmark or a bookmarks folder. To import bookmarks, click on the “V” icon (Windows and Linux users) > File > Import Bookmarks and Settings and select, where you want to import the bookmarks from. Alternatively, click on the Import button located near the top right corner in the Bookmark Manager. When the bookmarks have been imported, you can find them all in a new folder after all other bookmark folders, just above the deleted bookmarks (Trash). To export bookmarks from Vivaldi, click on the “V” icon (Windows and Linux users) > select File > Export Bookmarks. Bookmarks will be saved as an HTML file. To keep your bookmarks in sync across multiple Vivaldi browsers on different devices, use the Sync feature. If your other computer uses any chromium-based browser, not just Vivaldi, necessary files can be copied across manually from the file manager. Make a note of the directory listed under Profile Path. Open a system window (Finder or Explorer). Search for Vivaldi folder following the path you noted above. Copy across bookmarks, history, tabs, etc (see image below). If you want to copy your files to a non Vivaldi browser, exclude Notes and Preferences files.